Last week, during a discussion, I was asked if I had some good career advice for someone who wanted to quit their job. These are some of the good career advice I have come across over the years that I found to be true myself. These advices did not come from one person; in fact I have even forgotten who was it from. But these were told to me, some times I am not sure in jest or in seriousness. But I did some of these advice, which I know will serve you well. Eventually, you will be measured by what you can contribute to the company that is measurable and meaningful. You are to use your talent, energy and ideas to contribute. That’s what makes a difference in someone who enjoys his work and climbs up the corporate ladder. You want to impress your boss? The easiest way is to think like the business owner. Whenever things are not approved or does not work in a certain way in the company, there are usually good reasons for it. It’s just that you do not know them. Do not pass any judgment. Think like the business owner. If you are the business owner and the money is yours would you do this? Would you make that decision? When you think like the business owner, your loyalty remains with the company. Does it mean you do not plan? No, it doesn’t mean that. Don’t let plans that are too far away bother you. Again, what matters is doing well what matters now. Don’t get too agitated with things that aren’t working too well and you have no control over. Go with the flow. In the grander scheme of things, it probably does not even matter five years from now. Learn about good career advice and how to achieve career success with 5Ds. What is my dream job? Here is a list of questions you can try to answer to help guide you towards the answer to what is my dream job. This is Part 1 to 7 insights to career planning success and good career advice. This is Part 2 to 7 insights to career planning success and good career advice. 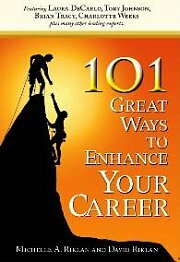 For more recommended articles for good career advice, click here.